Sometimes the fashion world can be somewhat disillusioning. With many trends coming back and the lack of something totally new, it can be a bit boring from time to time. That’s why I get even more excited when there is a totally new trend piece. Last time this happened was probably the big excitement around Hairpins and headbands . 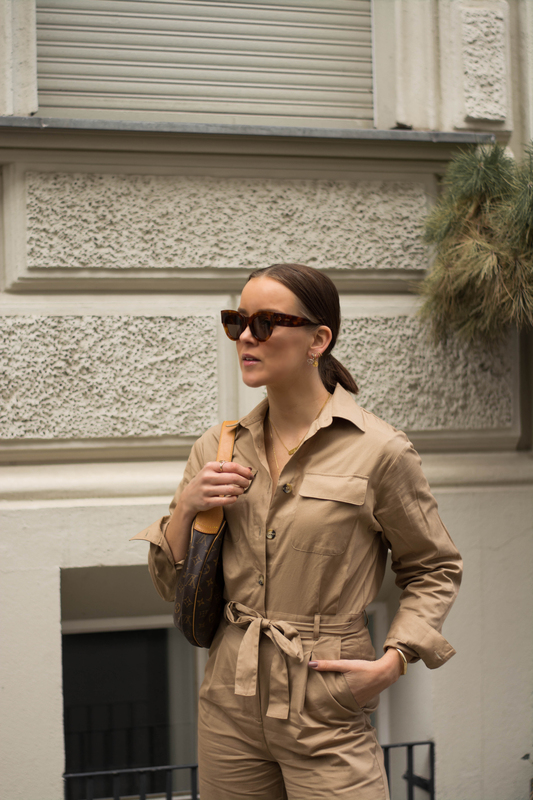 Next up now is the Boiler Suit as I’m already a big fan of it – and trust me, you will love the trend too! The Boiler Suit seems to be the cooler brother of the overall or jumpsuit as the cut is a bit more relaxed and is made of quite firm fabrics. It reminds me a bit of a pilot overall, especially in the beige and neutral shades. The main advantage of wearing a boiler suit? You#re already fully dressed and only need to decide on the shoes and accessoires. 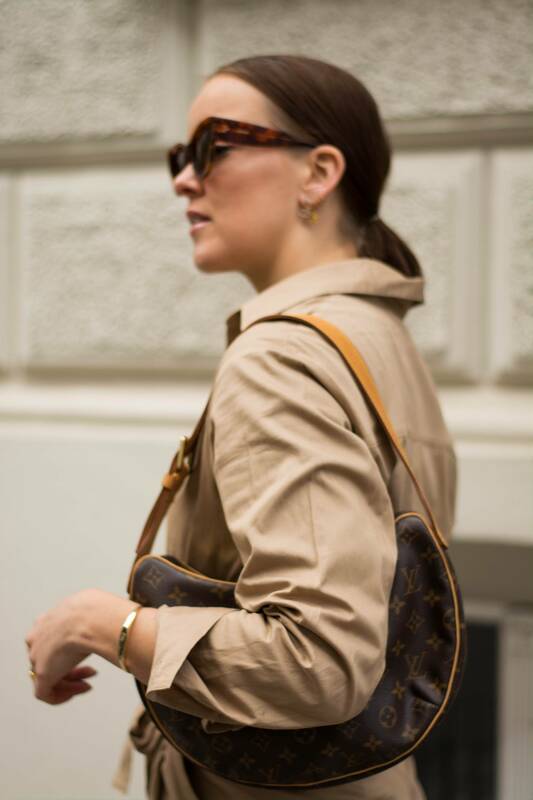 I’ve paired it with snake boots and my Louis Vuitton Croissant bag which looks relaxed but in a stylish way. 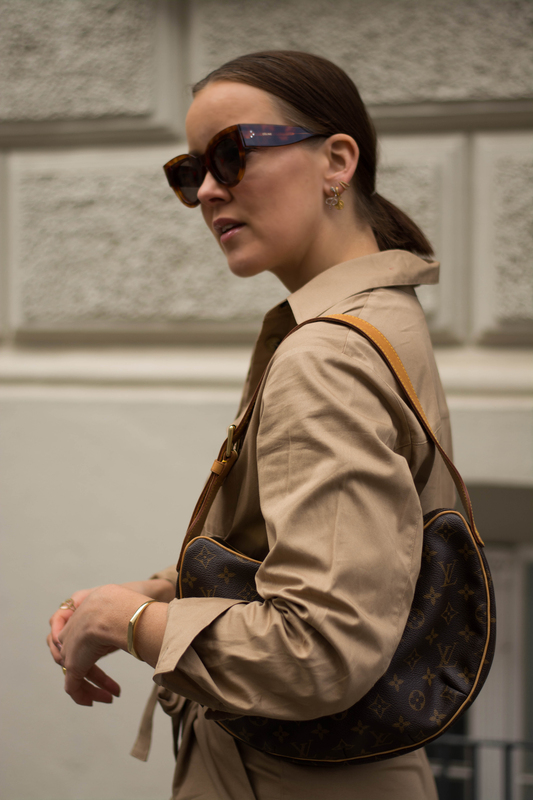 Another combination could be with sneakers and a big tote bag for a relaxed sunday afternoon. And if you want to dress it more sophisticated, I would style it with some strap sandals and my chanel chain belt. What do you think of the trend & how would you combine the boiler suit? This post contains affiliate links. Thanks to Anduka for the pictures.